A complete denture is a removable prosthesis that replaces all or some of the teeth in the upper or lower jaw. It also replaces the missing supporting tissues such as the bone and gums. There’s no doubt that dentures take a little getting used to. It is quite common to have slight mouth irritation or sores as the foreign objects , i.e. dentures put pressure on the soft tissues, but usually these tissue irritations are caused by poor dental hygiene, and not removing your dentures when needed. When you use your full dentures for chewing, only 16-24% efficiency is created in comparison to a person’s chewing force wit natural teeth. on the other hand although an overdenture or a partial denture like a complete denture , is made to fit over the entire arch , but it is used for patients who still have teeth remaining that do not require extraction. The retained teeth are used to help support the overdenture. Some mistakenly believe that their problems will be over if they have their teeth taken out and get full dentures. But naturally this is not true as, this marks the beginning of many new problems. This is mainly because , when you lose your teeth the normal landmarks are gone and so is the memory of how the teeth used to look . Long-term the bone underneath the tissues shrinks and changes shape, and eventually the gums on which the Dentures are trying to grip, changes shape and creates retention challenges. Denture pain is nothing new to many new denture wearers. New dentures can cause sore gums from time to time for several months or even up to a year as the acrylic base plate beds in and the tissues start adapting to the new positioning of the teeth. when teeth are lost and not replaced, part of the facial tissue support also is lost , one of the most important aspect of correct application of denture technology is to re-create the required lip and cheek support. Modern denture technology cannot produce a denture that will fit perfectly for the rest of your life, but there are some things you can do when denture pain drops by for a visit. One of the biggest origins of denture related pain is directly related to the way they fit. 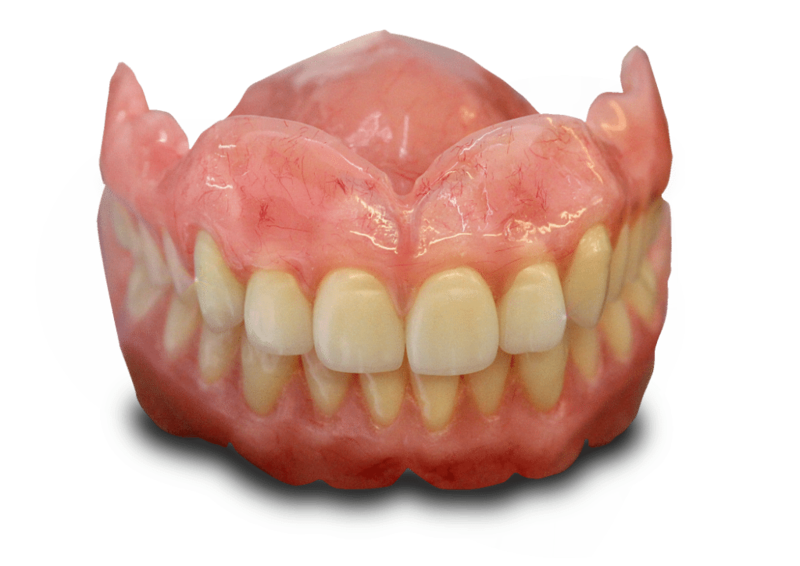 a correctly fitting denture will rest properly on the gums and wouldn’t move around , causing pain. But once the suction between the base plate and the underlying tissue is compromised , the denture will start slipping away,and rub against the gums leading to soreness and swelling. If left untreated this can make wearing the dentures intolerable. Further down the road, despite using the best Dentist skills and materials, as chewing becomes more difficult, you may be forced to consider implants and, as you may already know, they’re one of the most expensive tooth-replacement options, but they are attached to your jaw-bone like teeth, so they can make a tremendous improvement by giving your Dentures something solid to grip and stabilise on. If you have the choice, keeping as many of your natural teeth is the preferred option. You’ll look better, feel better, enjoy your food more and have more confidence. Most denture problems can be managed with the help of regular visits to a skilled cosmetic dentist; regular dental check-ups can ensure that the dentures retain their best or most comfortable fit inside the patient’s mouth. In cases when the dentures have already loosened, the dentist can help make the necessary adjustments – to give the patient the most comfortably-fitting dentures possible, without the need to worry about pain and embarrassment.